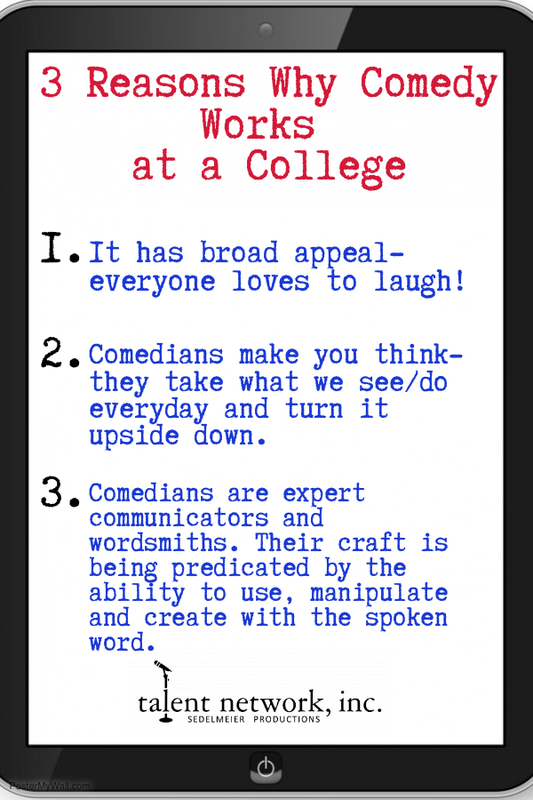 3 Reasons Why Comedy Works at Colleges - talent network, inc.
Providing quality entertainment for 29 years, though there are many reasons why comedy works on campuses, here are what we believe to be the most important. Contact us to learn more or to book a comedian for your next campus event. 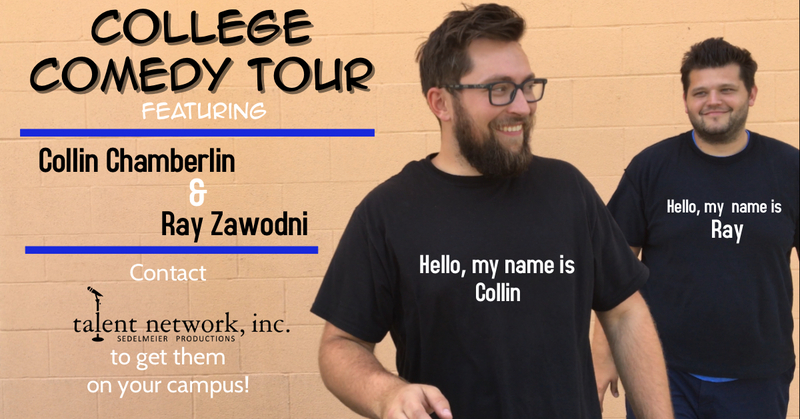 Routed dates are still available for our College Comedy Tour featuring Ray Zawodni and Collin Chamberlin- click here for more info.